The old way of doing business is quickly becoming obsolete. Society is changing at speeds never seen before due to globalization of the economy and the overwhelming and ever-growing volume of information flow. While someone is in a long meeting, while someone is being assigned a task, while communication is stagnating, the project you're currently debating may be losing value. Speedy progress with projects. 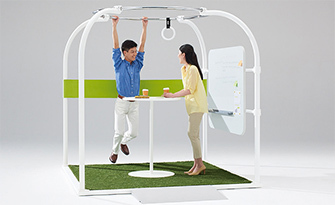 This is what the future of meetings must provide. Meetings that must be held in private reserved rooms, even for the most informal discussions often result in a lot of wasted time. 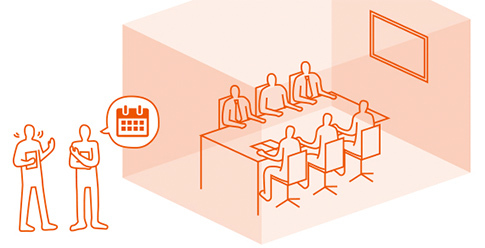 Open meetings have the benefit of saving time, as well as smoothly achieving information sharing and decision making. There are several issues with the traditional meeting style that require advance room reservations, and adjustments to fit the meeting in with the schedules of everyone involved. These issues can be resolved by adopting open meetings. 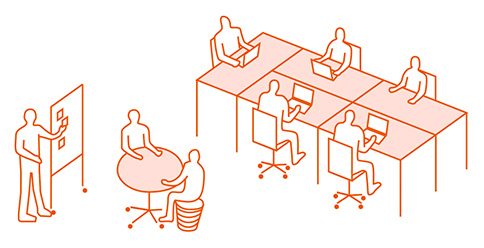 Open meetings are meetings that can be held whenever necessary, in an open space. The biggest benefit is that they can be convened at a moment's notice, but there are several other benefits.It's important that workers can select either a meeting room or an open meeting based on the content of the meeting. A lot of time is used before the meeting even begins to coordinate schedules of participants and make reservations.The formality makes it hard to speak up. The formality makes it hard to speak up. Casual atmosphere makes it easy to speak up. Visible location makes it easier to share information. Participants transition smoothly from discussion to individual work. There are a variety of styles depending on the purpose and use, even for open meetings. Choose something that fits the content of the meetings and the way the office works. 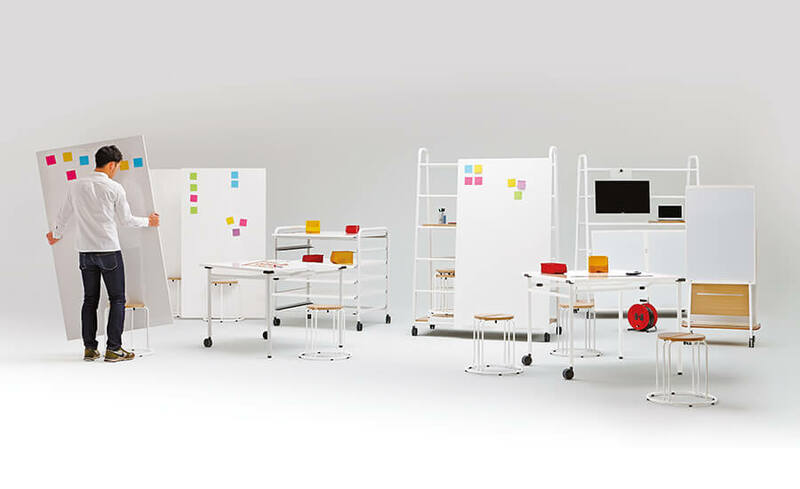 Use movable fixtures and white boards to encourage an active exchange of ideas. Hold discussions on sofas, for meetings with a relaxed attitude. 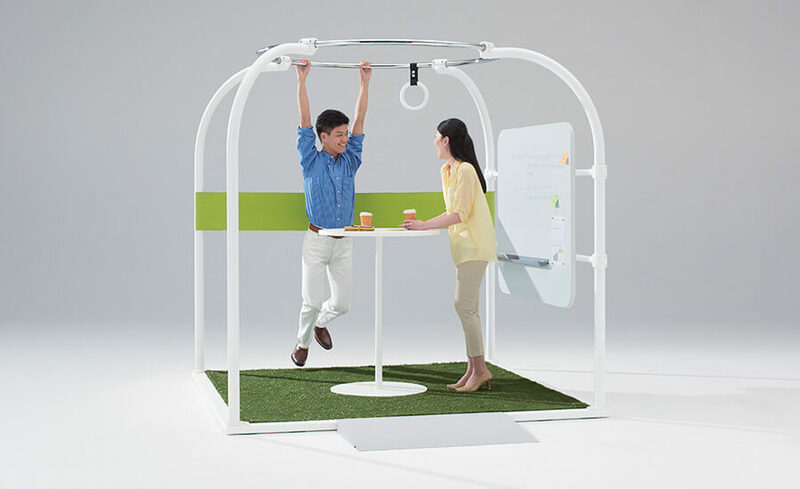 Meetings will progress in a flexible and calm manner. Standing meetings are ideal for quick information-sharing sessions. 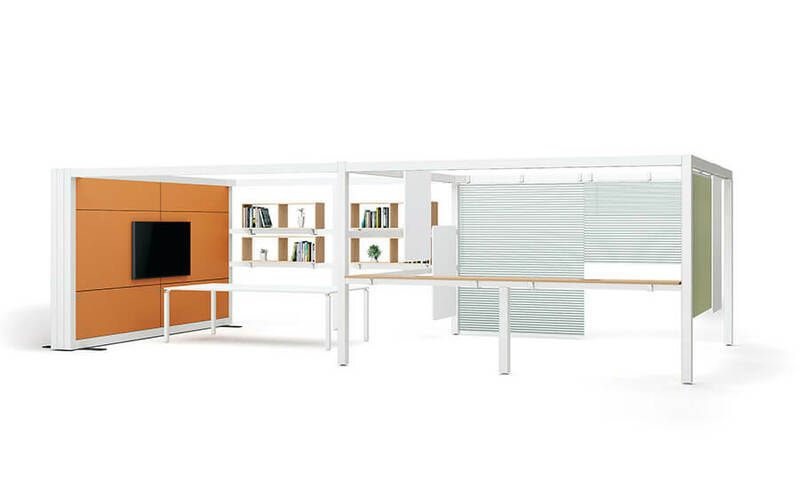 A semi-open space is ideal for meetings that use projectors or walls for brainstorming sessions.